Birmingham City Council is the largest local authority in the UK, serving a population of just over a million citizens. Its headquarters are at the Council House in Birmingham city centre. The council has 120 elected councillors, representing 40 wards, and 13,000 employees delivering over 700 services. 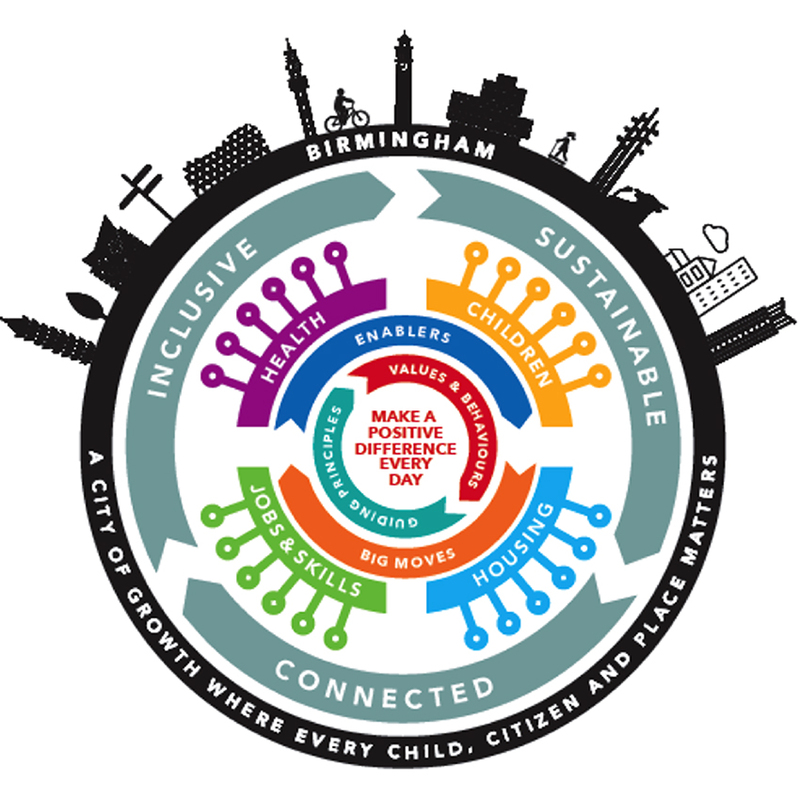 The council has embarked on an ambitious transformation programme to create the Council of the Future and deliver on its vision of creating a city of growth, where every child, citizen and place matters. Health; so Birmingham is a great city to grow old in. To ensure delivery against its Jobs and Skills priority, clear pathways for school leavers through traineeship and apprenticeship programmes will be created. The council aims to generate 360 apprenticeships across a variety of services by 2020 – such as; Human Resources; Customer Services; Legal; Social Care; Finance; Public Health; Built Environment and more. If you are interested in pursuing a traineeship or apprenticeship scheme please register to www.cog-brum.co.uk to receive job alerts.